3D graphics are prominent in many areas of our everyday life and the industry continues to grow and inspire new applications. 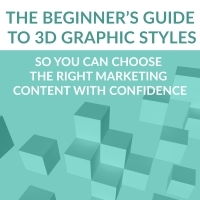 If you are new to 3D graphics and how it relates to your particular marketing needs or interest, I’ve created this brief overview with descriptions of each style along with examples. 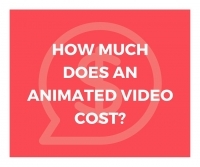 Animated Explainer videos are a relatively new trend in the online marketing world. Aside from the fun characters, cool graphics and lively animations, explainer videos, when done well, have a powerful impact on their audiences. 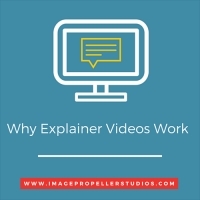 The demand for explainer videos is on the rise, so let’s take a look at some reasons why they are so effective and relevant to businesses today. Last week I shared a list of the tools I've adopted to boost creativity. This week, I’d like to share some techniques to helped improve productivity. You may notice my list is of the low tech variety. I don’t include any apps or digital tools here. I've tried many of them and yes, a lot of them have huge benefits and will save time. But over time, I've discovered the techniques that stick with me require no digital components whatsoever. If you are like me, struggling to simplify your day to day routine in order to increase your creative output, then you might like to hear about some of the more useful tools I've been using lately to help focus daily creative output. How to Learn By "Copying"
If you have been offering animation services as part of your business, you have probably refined a process to deliver these projects to your client. You are confident that you can deliver a great video on time and budget and you know you have the ability to wow your clients. But how will your potential clients know that you can pull it off? Sharing your production process is an excellent way to gain some momentum with potential clients.